Kim Morrow specializes in health, food and nutrition. She holds a Bachelor of Science in nutritional sciences from Rutgers University and currently works as a registered dietitian in New Jersey. Electrolytes are minerals found in your blood, urine and other body fluids that carry an electric charge. These minerals include calcium, potassium, sodium, chloride, phosphorus and magnesium. Electrolytes help with muscle function, as well as the maintenance of fluid balance and your body's pH. They can be lost through urine or sweat, so electrolytes must be replenished in the diet to maintain a healthy balance in the body. Many fruits and vegetables contain three important electrolytes -- calcium, potassium and magnesium. 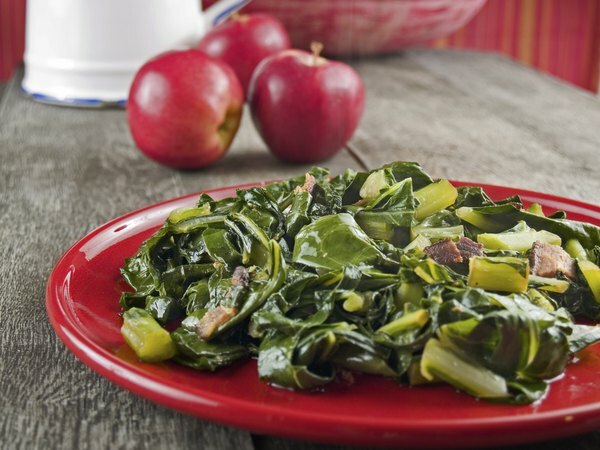 High-calcium fruits and vegetables include collard greens, spinach and turnip greens. Fruits and vegetables that are high in potassium include apricots, bananas, potatoes, kiwi, tomatoes and sweet potatoes. Spinach, artichoke hearts, butternut squash and okra are good source sof magnesium. Many fruit juices, vegetable juices and commercially-sold sports drinks contain electrolytes. When shopping for fruit and vegetable juices, look for "100 percent juice" on the label to ensure you are getting the best nutrition and most electrolytes. Sports drinks also contain added electrolytes to replace what is lost through sweat while exercising. While too much salt have a negative impact on your health, small amounts are necessary for proper functioning. Sodium chloride -- better known as table salt -- contains the electrolytes sodium and chloride. While the typical American diet provides adequate salt, you might need to supplement some in your diet in instances when you are excessively sweating or urinating, such as during intense exercise. Salted pretzels, baked potato chips and salted crackers are good sources of sodium chloride. Nuts, beans and seeds provide many of the electrolytes that you need. Soybeans and cowpeas are good calcium sources. Legumes; almonds, Brazil nuts, peanuts, hazelnuts, walnuts and most beans are high in magnesium. Lima beans, chickpeas and lentils are good sources of potassium. Include a variety of foods in your diet to ensure that you get the electrolytes your body needs.